22 | June | 2016 | A . T . T . N ! 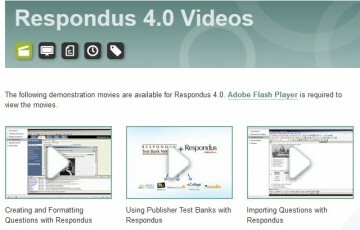 Respondus is a powerful tool for creating and managing exams that can be printed to paper or published directly to D2L Brightspace. Exams are created offline directly in the software, then quickly uploaded to your specific D2L course. This time-saver tool is available to St. Cloud State faculty, so if you wish to use it let us know and we will instal it and give you a quick tutorial on how to use it. Here, I will list the major features and provide 5 minute video tutorials for creating your quizzes and publishing them to your D2L course.